Arts NPO Aid:PROJECT 2 SUPPORT:WA WA PROJECT-Social Creative Platform for Opportunity-Know and support projects in eastern Japan ! 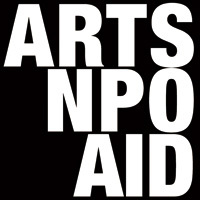 A network organization established by art-related NPOS. Initiatives involve trying to identify issues faced by art-related NPOs and shared needs while also working to find solutions. 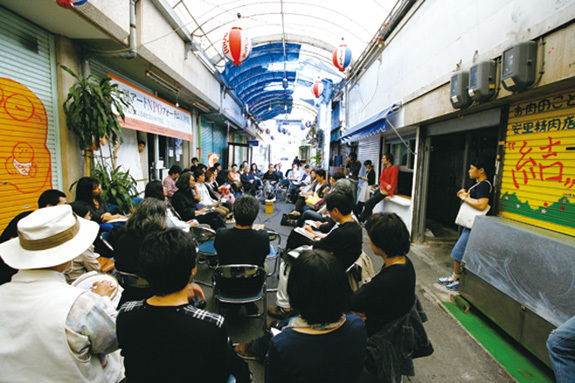 After the unparalleled disaster caused by the Great East Japan Earthquake, a forum was held in Tottori between March 19 and 20, 2011 for art NPOs nationwide, considering the question "What can we do?" At that meeting all reflected upon what art could do and what their own organizations could do in the face of such a disaster and each made a commitment to putting such ideas into practice and maintaining communication with each other. With a responsibility to give this promise a realizable form, Arts NPO Link created a platform "Art NPO Aid", launched one month after the earthquake on April 10, in order to implement a revival based on the creative activities of artists and art NPOs. With the aim to support regeneration initiatives by artists and art NPOs, four programs have been developed to undertake the raising of contributions, to provide web-based media distribution, and to organize Art NPO coordination.